We are excited to announce that Renatus, a house renovation project by TEKUTO’s managing director Ben Matsuno has completed. By courtesy of the client, an open house event will be held on Sunday, April 21. We would like to call it “RE generation” rather than a conventional renovation project, for after a long and intimate collaboration with the client, the outcome became not mere refurbishment but more of a RE birth, RE generation of a house. 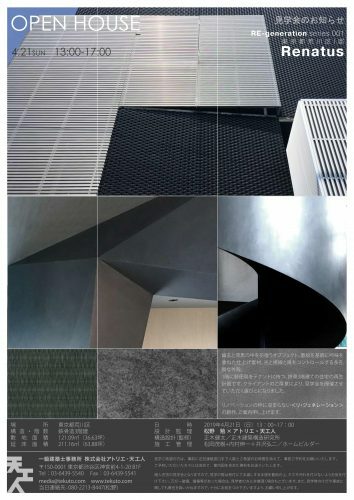 Objects and forms drifting in esoteric darkness, materials carefully selected according to the aesthetics of sumi-e (ink wash painting), permeable facade controlling light, vision and air…these are some of the features we are extremely proud of. Please RSVP if interested. date and hours: Sunday, April 21, 2019 1:00p.m. to 5:00 p.m.
We will inform you of the exact address once you register. 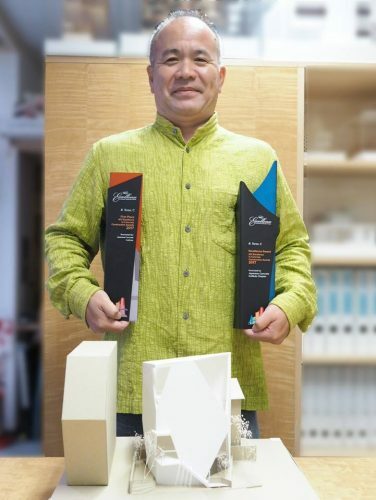 A resort hotel project, Nest at Amami Beach Villas, designed by architect Yasuhiro Yamashita and his architecture firms Atelier TEKUTO and Amami Design Firm, has won the Asia Pacific Property Awards in two categories; Hotel Architecture; New Hotel Construction & Design. 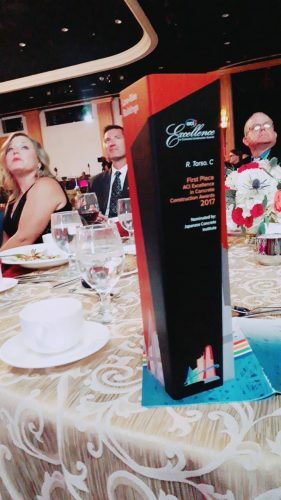 The awards will be presented at the Marriott Marquis Queen’s Park, Bangkok on May 14-15th, 2019. 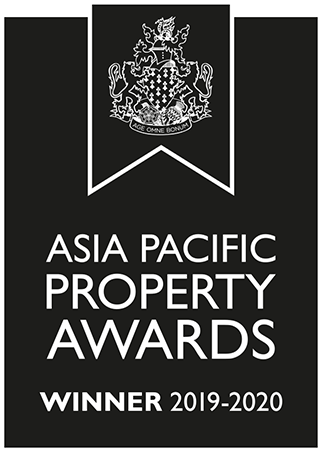 Asia Pacific Property Awards that cover over 45 different residential and commercial categories are in their 26th year and is the largest, most prestigious and widely recognised program in the Asia Pacific regions. The awards are judged by an independent panel of over 80 experts, focusing on design, quality, service, innovation, originality and commitment to sustainability. 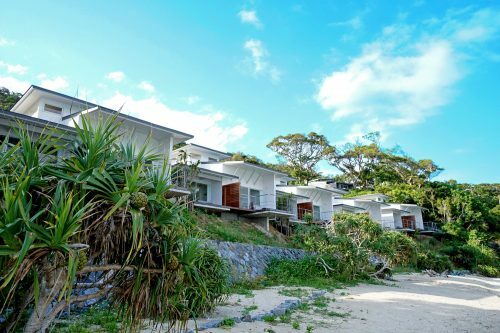 Nest at Amami Beach Villas, which opened in April 2018, is situated in the architect Yamashita’s home island of Amami-oshima. In the course of studying the local history and nature, carrying out an extensive research on existing accommodations in the area, the major concept of the design became addressing the various “in-betweens” of the island. Yamashita himself searched and found the ideal site for this project. 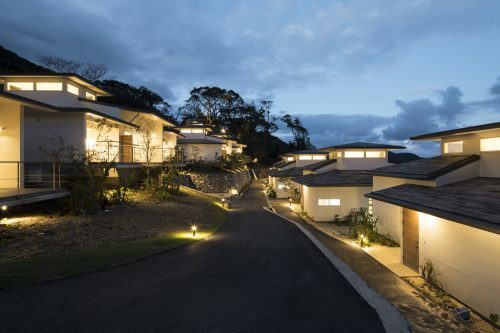 The position of the villas were decided upon between maximising both the retainment of the original landscape and taking advantage of the ocean front views. The vegetation was planned so as to maximise the restoration of indigenous vegetation that had deteriorated in between nature and human activities. The architectural forms were inspired by the local traditional architecture and indigenous creatures, bridging the old with the new. 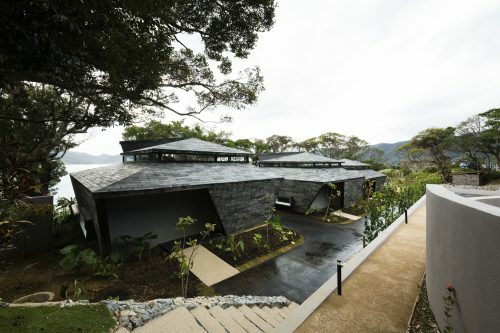 Also, a cladding material was developed from locally sourced lumber dyed using a traditional textile dyeing method. Amami is currently in an in-between phase, awaiting to be listed as a World Natural Heritage Site. The ultimate goal of this project is to make a contribution to the island through adding an authentic and sustainable luxury resort facility to the local tourism infrastructure. 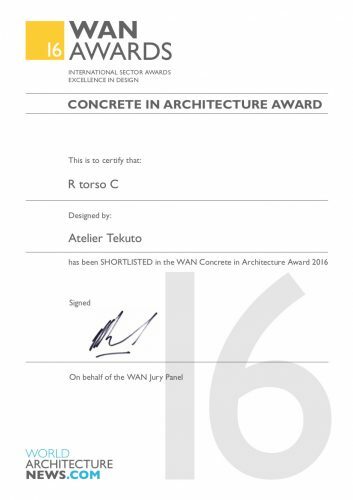 R・Torso・C, created by architect Yasuhiro Yamashita of Atelier TEKUTO, structural engineer Assoc. 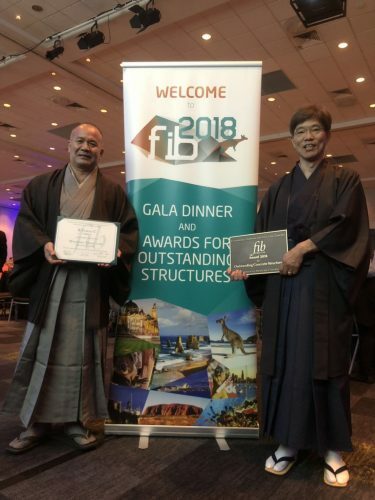 Prof. Jun Sato and building materials researcher Prof. Takafumi Noguchi, both of Tokyo University, received the fib 2018 Awards for Outstanding Concrete Structure. 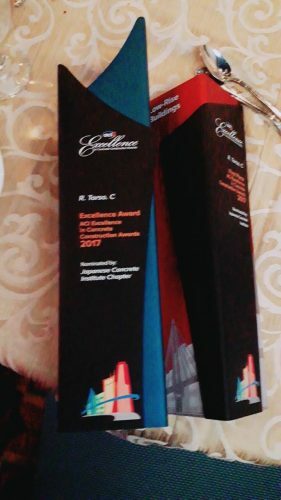 The award was presented at the 2018 fib Congress Gala Dinner on October 9th, 2018 at the Melbourne Park Function Centre in Melbourne, Australia. 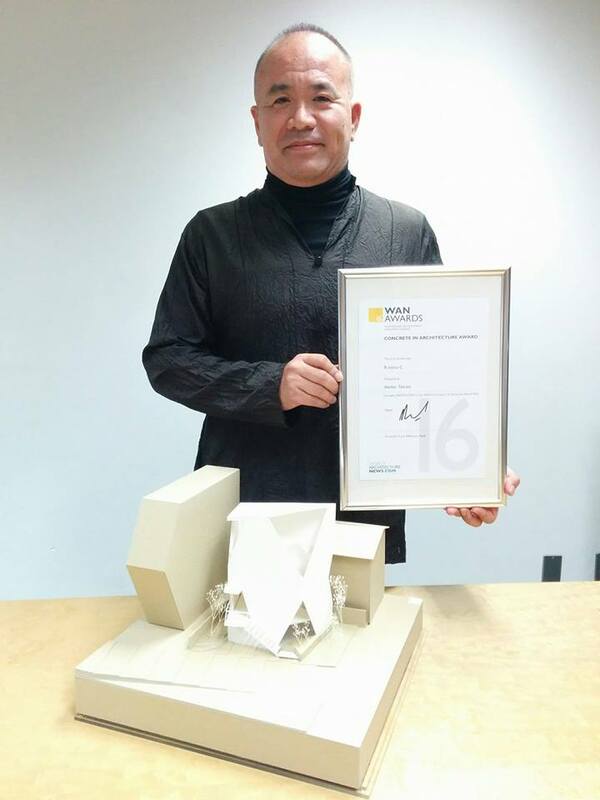 The fib Awards for Outstanding Concrete Structures is presented every four years with the goal of promoting international recognition of structures that excel in design and demonstrate the versatility of concrete as a structural medium. R・Torso・C (Shibuya, Tokyo; completed 2015) is a micro-residence on a small site of mere 66.67m2 with a total floor area of 103.74m2. 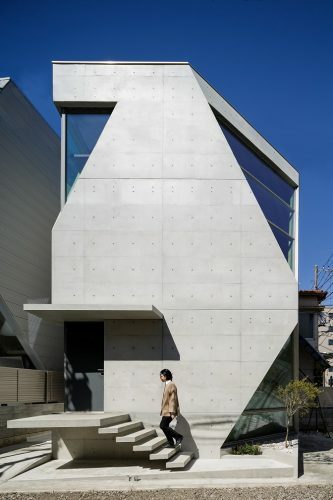 The clients requested a house with exposed concrete inside and out. 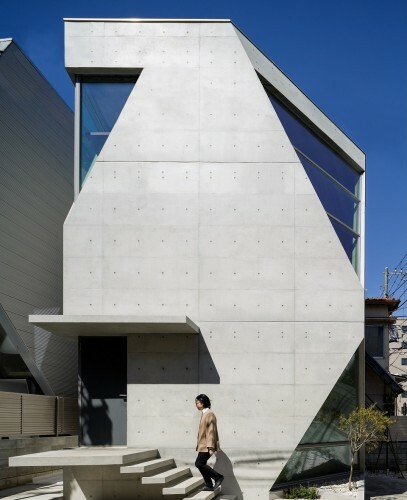 Furthermore, they wanted the concrete to be ecologically ambitious. 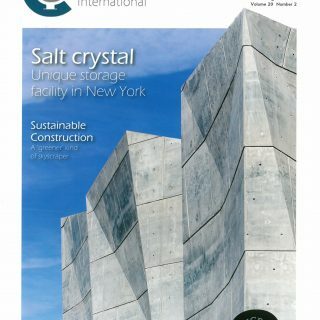 Therefore, a 100% recyclable concrete was developed from almost scratch, by Yamashita, Prof. Noguchi, Assoc. Prof. Sato with the help of other collaborators. 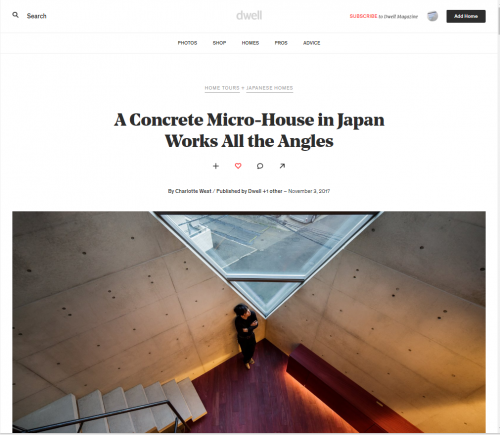 Yamashita and the team are grateful for the acknowledgement of the big impact this small piece of architecture has on society, and are willing to keep on contributing to humanity through architecture. 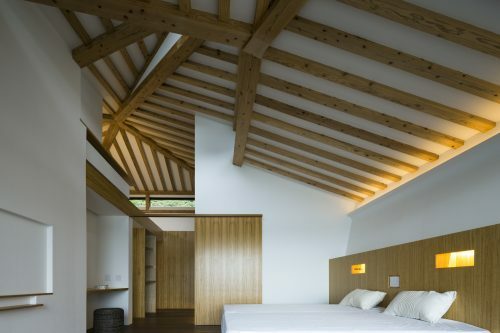 An article on our micro-house project, R・Torso・C, was published on ArchDaily.com. Yasuhiro Yamashita of Atelier TEKUTO flew to Guangzhou, China’s third largest city today. 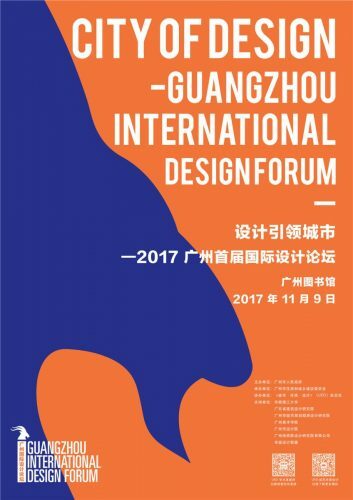 There, he will take part in a three-day international forum, “2017 Guangzhou International Design Forum,” (November 9-11, 2017) as the only Japanese lecturer. Thomas Herzog and Patrik Schumacher (Zaha Hadid Architects) are among the international speakers participating on the first day. 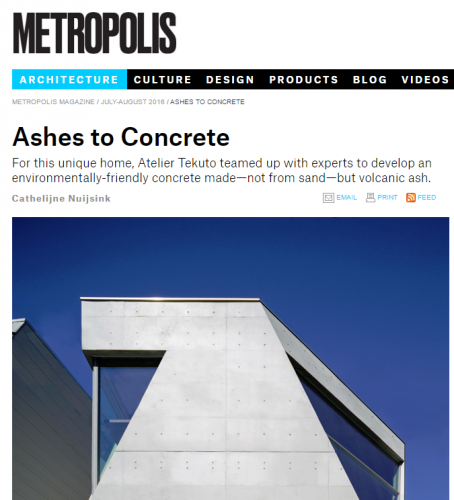 An article about our ACI(American Concrete Institute) Overall Excellence Award winning micro-house project, R.Torso.C appeared on Dwell.com. 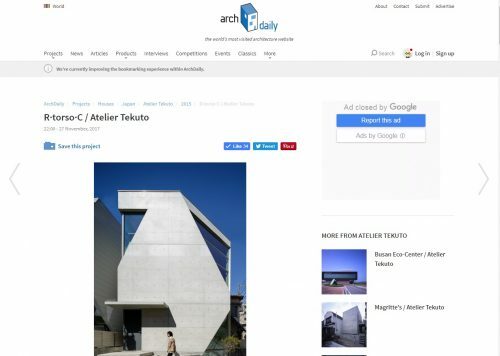 Atelier TEKUTO’s work “R・Torso・C “ won the OVERALL EXCELLENCE AWARD and first place in the Low Rise Buildings Category in 2017 Excellence in Concrete Construction Awards, hosted by ACI (American Concrete Institute) . 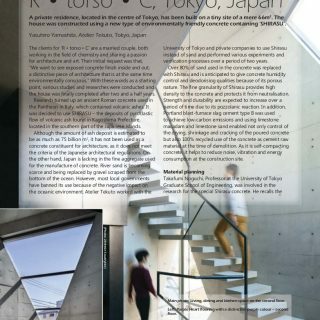 The acknowledgement of eco-friendly, sustainable SHIRASU CONCRETE, developed together with Prof. Noguchi of Tokyo University and structural engineer Jun Sato, along with other collaborators, is a great honor. 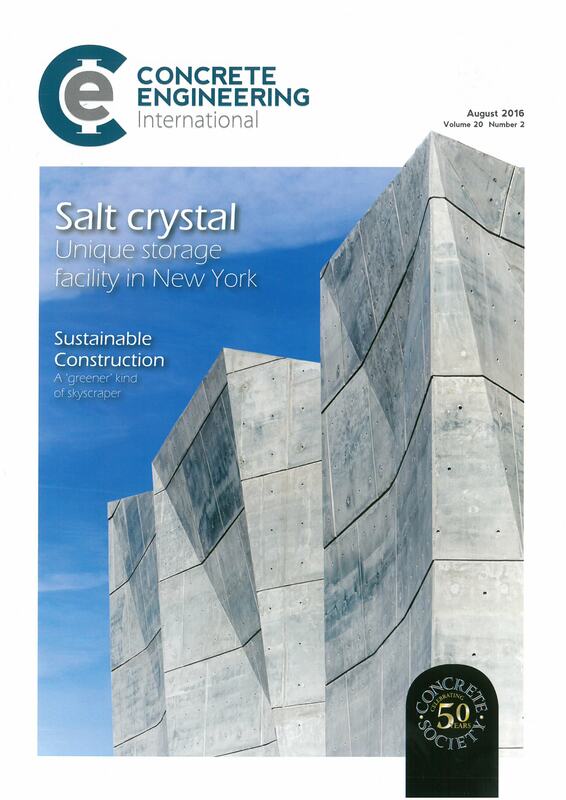 We hope that it will bring much-needed attention to the depletion of natural resources for concrete. Previous winners of this prize were, Italian Pavilion Expo 2015(Milan, Italy) by Nemesi & Partners, and Museum of European and Mediterranean Civilizations (Marseille, France) by Rudy Ricciotti. There was an exhibition at Stockholm University on the projects done by Atelier Tekuto, by a student who has chosen TEKUTO’s projects for her curatorial work. 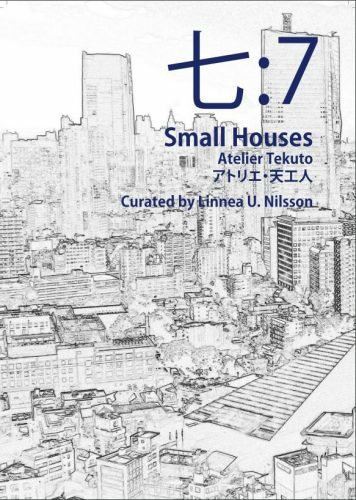 It’s an honor that she has chosen architecture as her exhibition theme, and Yamashita-TEKUTO out of million architects existing. 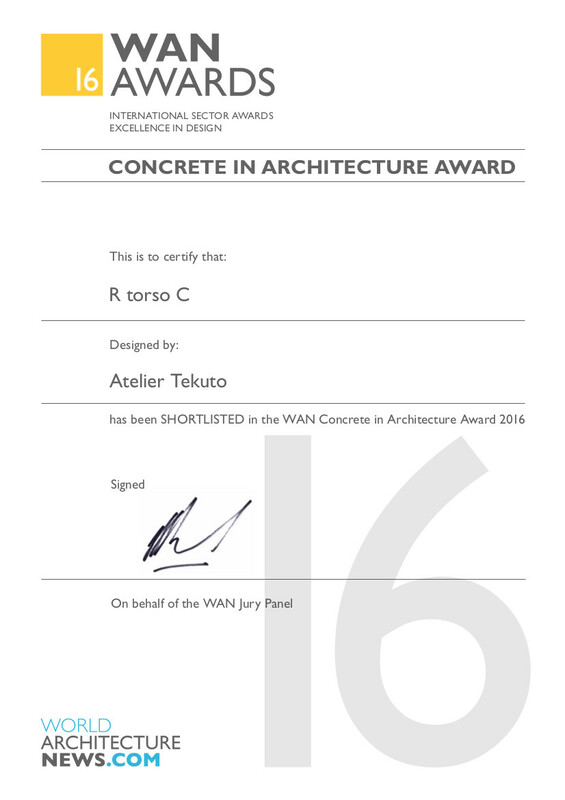 R・torso・C was shortlisted in 2016 WAN Concrete Award. 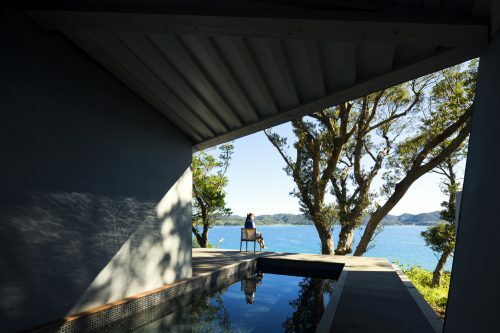 “This year’s panel were: Chiaki Arai, Founder of Chiaki Arai Urban & Architecture Design, Jason Parker, Partner at Make Architects, Elaine Toogood, Senior Architect at The Concrete Centre and Simon Anson, Architect and Associate at Arup. 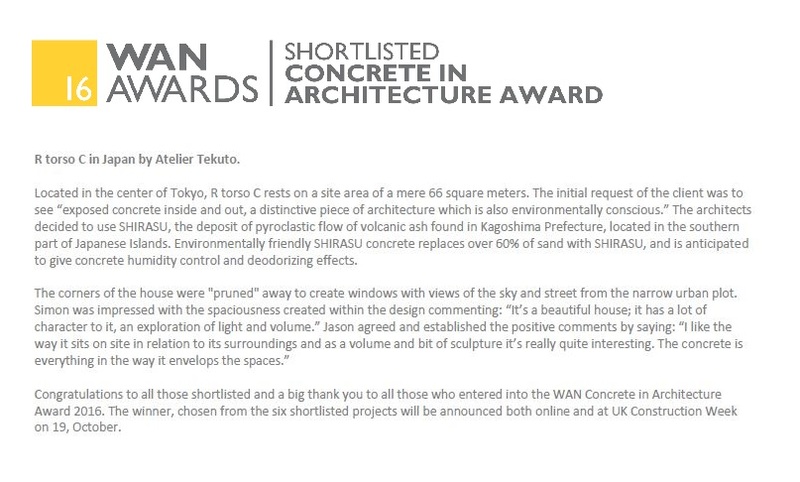 Although we did not win the final, we are delighted that our work towards the environment is recognized in the international concrete award. 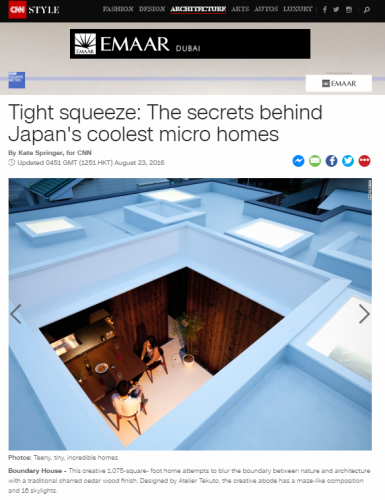 Yamashita’s thoughts and method on the small houses are written in CNN Style. 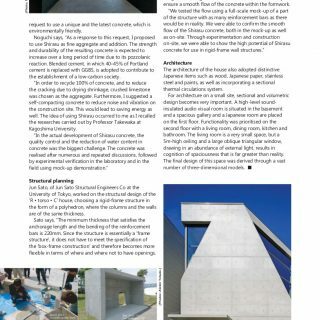 An article on R・torso・C was published by The Concrete Society(UK) “Concrete Engineering International Magazine, August 2016”.